Sometime before 1887, down on the old L.M. Johnston farm one-half mile east of this church, stood a little one room school with a large fire place. Here, the men, women and children of this community met to worship and have Sunday School during the summer months. In the spring of 1887, the people asked Dr. William S. Long from Graham, North Carolina to come and speak for them. This was a big day, for it was considered a long trip for horse and buggy days. Dr. Long came and on that afternoon the congregation made plans to build a Christian Church and call it “Long’s Chapel” after Dr. Long. Dr. Long served as pastor until 1895 preaching each first Sunday for a salary of $90.00 per year. The little one room school proved too small before the summer months were over, so the people sat on slabs under a bush arbor in the school yard while work progressed on the church. The men in the community did the work with Mr. Bill Smith (Baxter Smith’s father) as leading carpenter. He was one of the best in those days and worked all summer carrying his lunch and a bottle of water under his arm each day. He worked from sunrise to sunset for $1.00 per day. By the fall the one room structure was finished. This was the main room in our old church. It was considered a fine church for that time. The land for the church was given by Mr. Frank Rogers. Later, several acres were given by his daughter, Ava Etta Rogers. On November 10, 1887 the congregation moved into the new building for the first service. This was a great event. Everyone was happy and shouted for joy. 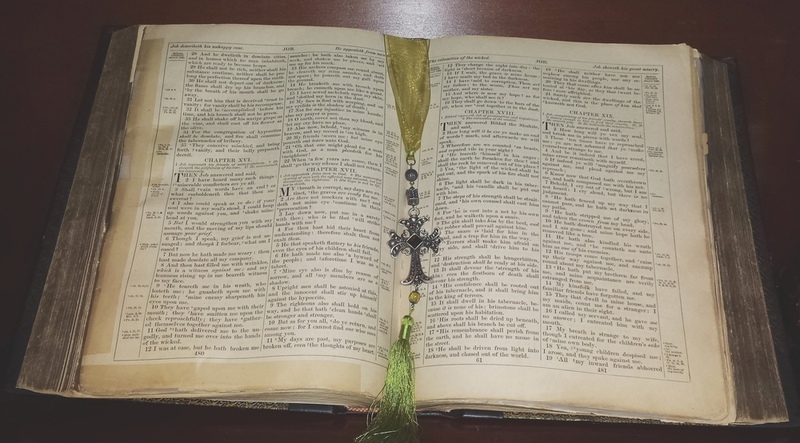 THE BIBLE We believe the Bible, consisting of the Old and New Testaments, to be the only inspired, inerrant, infallible, authoritative Word of God written. THE TRINITY We believe that there is one God, eternally existent in three persons: Father, Son and Holy Spirit. JESUS CHRIST We believe in the deity of Christ, in His virgin birth, in His sinless life, in His miracles, in His substitutionary and atoning death through His shed blood, in His bodily resurrection, in His ascension to the right hand of the Father, and in His personal return in power and glory. SINFUL NATURE OF HUMANITY We believe that humanity is lost and sinful and renewal by the Holy Spirit is absolutely essential for salvation. SALVATION We believe that all who receive by faith the Lord Jesus Christ are born again of the Holy Spirit, and thereby become children of God, and heirs of eternal life. THE HOLY SPIRIT We believe in the present ministry of the Holy Spirit by Whose indwelling power and fullness the Christian is enabled to live a godly life in this present evil world. RESURRECTION AND FINAL JUDGEMENT We believe in the resurrection of both the saved and the lost; they that are saved unto the resurrection of life, and they that are lost unto eternal punishment.